This is Indonesian version of spicy and sour vegetable soup. 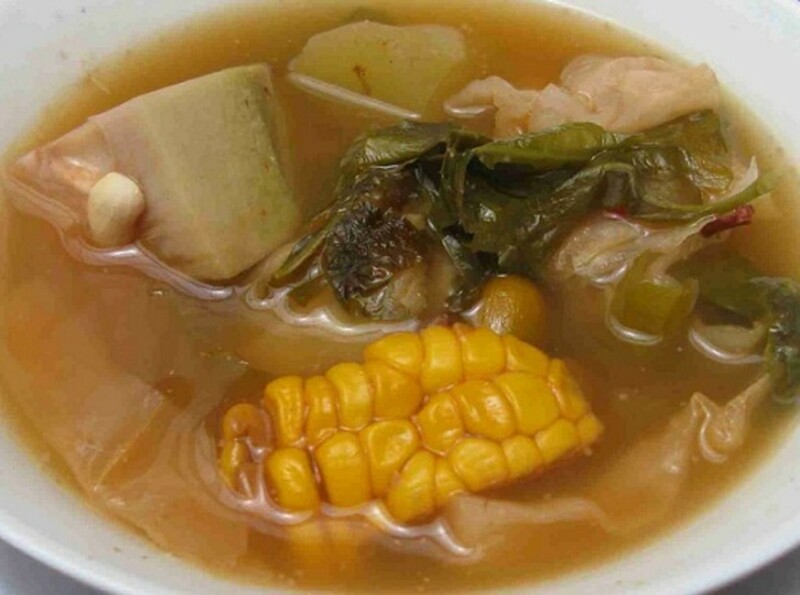 Sayur asem (sayur asam) is a tamarind based vegetable soup with various Asian vegetables such as chayote squash, Chinese long beans, raw peanut, unripe jackfruit, belinjo fruits and leaves (seeds and leaves of Gnetum Gnemon). The broth is seasoned with spices such as galangal, bay leaves, candlenut, red hot chili and shrimp paste. Sayur asem is served with steamed rice, fried salty fish (ikan asin goreng) or traditional fried chicken, raw salad and hot fiery sambal (chili sauce/paste). 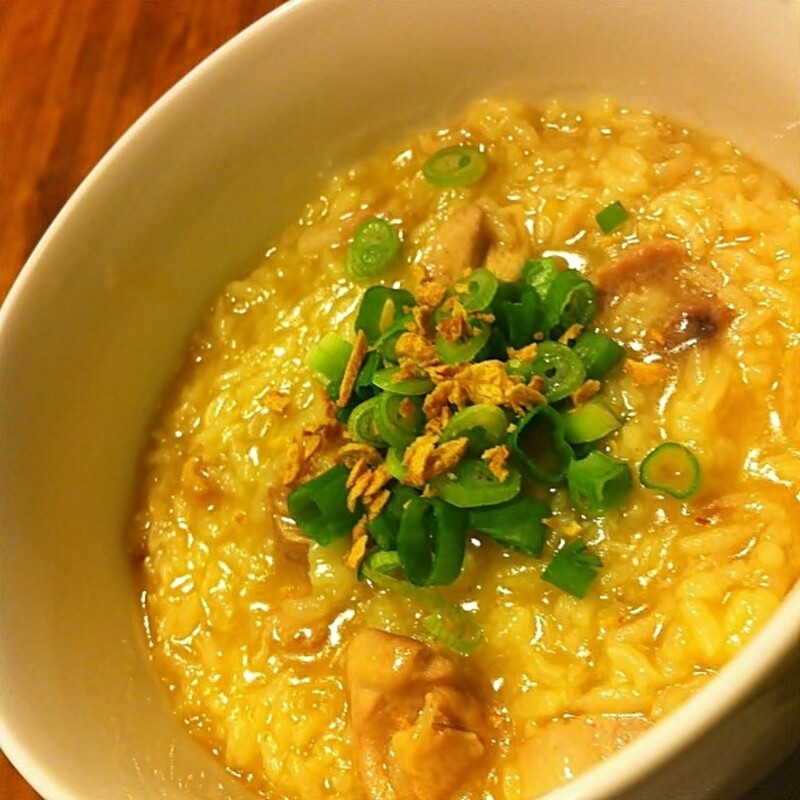 This soup is usually enjoyed during hot summer day. 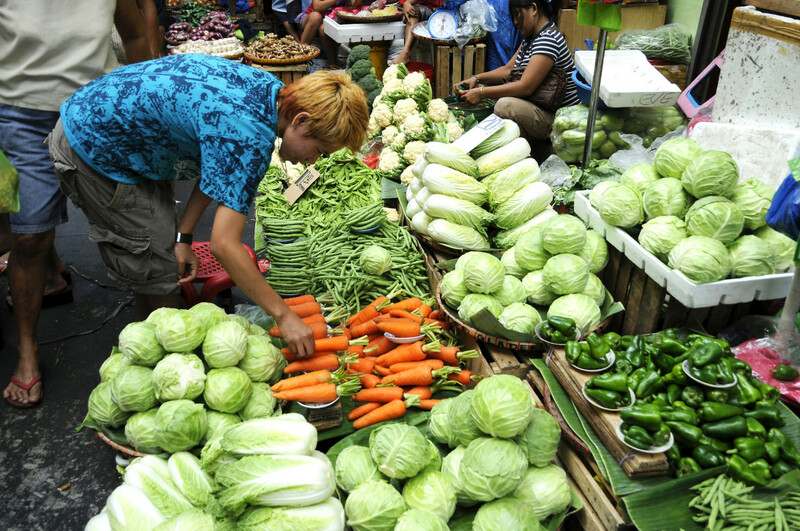 There are two variants of sayur asem: sayur asem Sunda (Sundanese, West Java) and sayur asem Betawi (Jakarta syle). Sundanese sayur asem has clear broth compare to Jakarta style sayur asem. Here is vegetarian version of sayur asem. But if prefer non vegetarian version, use beef broth instead of water. Put shallot. garlic, chili paste, candlenut, brown sugar, salt and shrimp paste in a food processor then grind the spices to form a paste. Set aside. Bring 10 cups of water to a boil. Add raw peanut, galangal, tamarind pulp and bay leaves. Simmer about 30 minutes or until the peanut is tender. Add unripe jackfruit, corn and spice paste. Simmer for another 15 minutes or until the jackfruit is tender. Add Chinese long beans and chayote squash and simmer for about 5 minutes. Taste and adjust the flavors if necessary. Add salt, sugar, or tamarind paste. Remove from the heat. Transfer to serving bowl. Serve it warm steamed rice, blanched or raw salad, and sambal (chili paste). 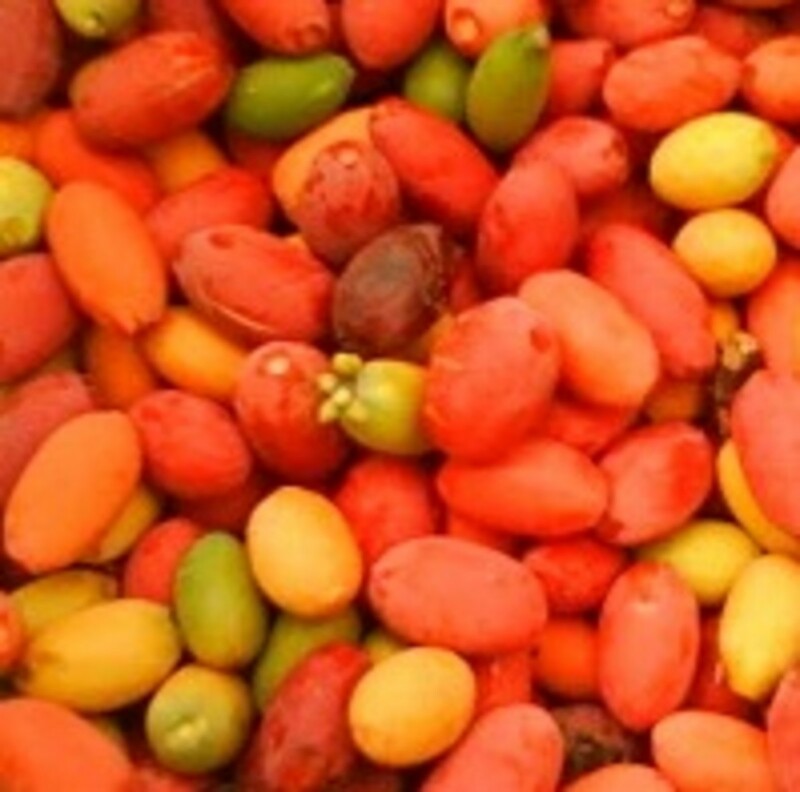 @anglnwu: If you are using Belinjo, boil the belinjo nut with raw peanut and spices. Unfortunately, I have never seen belinjo nut here. My goodness, I would love to have this dish. I like any hot, spicy, sour concoction and this dish fits my liking. 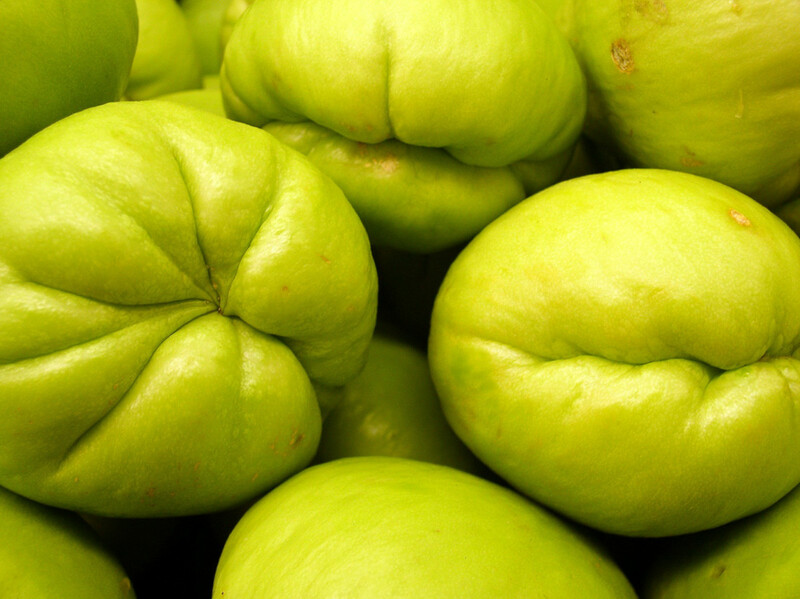 When do you add the belinjo fruits? I think I can ony make it when I go home to Singapore--it's hard to find unripe jackfruit here. Thanks for sharing and rated up.